​Please consider the offer document and general risk warning before investing. Investors are entitled to a 5 day cooling-off period. Solar D is a patented Vitamin D Promoting SPF technology which lets through more of the UVB light that our bodies use to produce vitamin D, while still protecting with Broad Spectrum SPF. With 3,000 retail outlets in Australia including Woolworths and Chemist Warehouse, Solar D also white labels its formula to Spain’s largest pharmaceutical company, Almirall. Share registry includes two prominent Australian Private Equity groups. 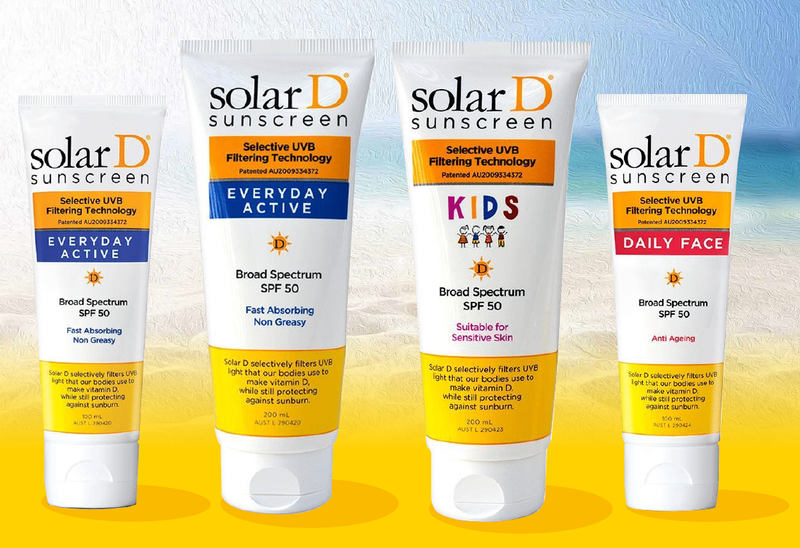 Nexdius is the 100% owner of Solar D Skincare Pty Ltd which is principally engaged in the manufacture and wholesale distribution of sunscreen products under the “Solar D” brand name. The Company is the exclusive global licensee of patents, trademarks and rights to ground breaking intellectual property in relation to Vitamin D promoting sunscreen technology that permits more of the light that our bodies use to make vitamin D, while providing SPF broad-spectrum sun protection. Licensing through Viva 5 (in the United States), a technology licensing company specialising in developing & licensing skincare technology to major pharmaceuticals and leading cosmetic groups. 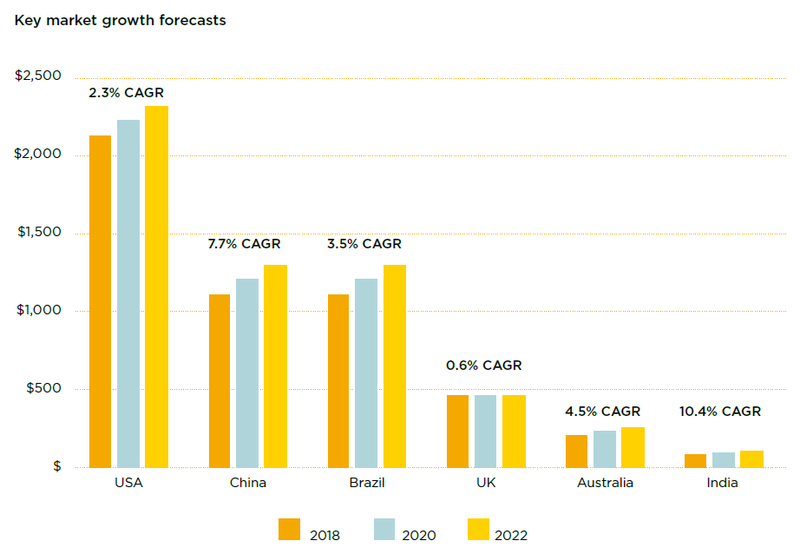 The global beauty and personal care products market size is anticipated to reach US$716.6 billion by 2025, registering a CAGR of 5.9% during the forecast period. The global sun care market was worth roughly US$10 billion in 2018. When bare skin is exposed to UVB light from the sun, the human body naturally produces approximately 90% of the vitamin D that our bodies need. 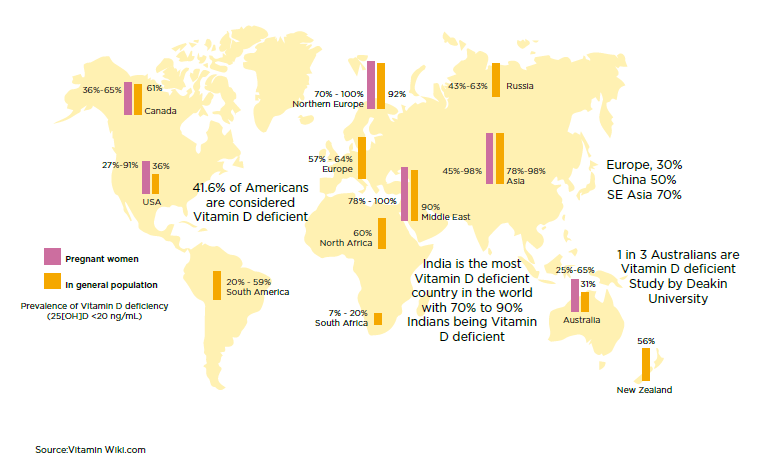 At present, an estimated 1 billion people worldwide do not have adequate Vitamin D levels. Almirall (Spain & Italy): First delivery of 100,000 units due to dispatch in March for distribution of Private Label product into Spain & Italy. Almirall is Spain’s largest Pharma group and has distribution to over 70 countries across the globe, including most of Europe and the US. Large Pharmaceutical (Brazil): Final stage due diligence and early stage commercial discussions on private label opportunity with Brazil’s largest pharma company. They sell to over 200 million Brazillians and we have begun commercial discussions. Management expects they can reach a memorandum of understanding and commercial outcome by H1 2019. Large Australian Cosmetic: Entered into commercial discussions with a global leading bronzing brand to white label a sunscreen and skincare range for distribution through 20,000 stores in Australia, UK and US. Large Pharmaceutical (Philippines): Received first purchase order for a trial from the largest pharmaceutical company in the Philippines for distribution throughout South East Asia. Management expects trial outcome to be reached in October 2019. Large Cosmetic Direct Marketing Group (US & Asia): Early stage licensing discussions for private label distribution throughout Asia & the US through direct selling/marketing business. Intellectual property and competing technologies risk: The success of the Company depends on the Company's ability to protect its intellectual property and the Solar D IP, as well as the exclusive use of the Patents and Solar D IP without infringing the proprietary rights of others. Manufacturer and supply risk: The loss of manufacturers or interruption in the manufacturing process could have a material adverse effect on the manufacturing, packaging and general supply chain relating to the Solar D products and might result in the Company losing sales, breaching obligations to its licensees/distributors and/or not achieving its strategic business objectives. Sales and distribution risk: The Company is heavily reliant on its main customers, licensees and distribution partners. If there is a significant issue with any of these parties, the Company may not achieve its strategic business objectives, or those objectives may be delayed. Competition risk: The industry in which the Company is involved is subject to domestic and global competition. Some of these competitors have greater resources than Nexdius and may be able to respond more effectively to changing business and economic conditions, which may affect the Company’s ability to reach its goals. Kristina Arnott – Non-Executive Director & Chairperson: Kristina is a practising lawyer with over 20 years’ experience. She has advised fast moving consumer goods (FMCG) companies and their Boards on a broad range of issues including litigation, regulation, governance, corporate law and contracts across multiple jurisdictions. Mathew Collett – Director & CEO: Mathew has over 30 years’ experience across Business Management, Banking, Corporate Advisory, FMCG and Marketing. Mathew was a former Director at JBWere Futures and Managing Director of ICAP Futures Australia. Titus Day – Non-Executive Director: A veteran in the entertainment industry with over 23 years’ experience, Titus has successfully founded businesses and managed leading companies. He has worked at IMG LA-based Atlantic Talent Management and the media management company, 22 Management. The Offer is subject to a Maximum Subscription amount of $2,000,000. If the Maximum Subscription is reached, the Offer will close early. Applications will be treated on a time priority basis and may be subject to scale back, so please fund your application as soon as possible. IMPORTANT: Please read the below information before investing in this Equity Crowdfunding offer. RISK WARNING: Crowd-sourced funding is risky. Issuers using this facility include new or rapidly growing ventures. Investment in these types of ventures is speculative and carries high risks. You may lose your entire investment, and you should be in a position to bear this risk without undue hardship. Even if the company is successful, the value of your investment and any return on the investment could be reduced if the company issues more shares. Your investment is unlikely to be liquid. This means you are unlikely to be able to sell your shares quickly or at all if you need the money or decide that this investment is not right for you. Even though you have remedies for misleading statements in the replacement offer document or misconduct by the company, you may have difficulty recovering your money. There are rules for handling your money. However, if your money is handled inappropriately or the person operating this platform becomes insolvent, you may have difficulty recovering your money. Ask questions, read all information given carefully, and seek independent financial advice before committing yourself to any investment. 5 DAY COOLING OFF PERIOD: There is a 5 business day cooling off period for retail investors. During this period, you may withdraw your application and receive a full refund into your nominated refund account. Please note: After the 5 day cooling off period has expired, you will be unable to withdraw your application. More information here. ONMARKET FEES: Upon successful completion of the Offer, a maximum fee of 7.5% of the funds raised will be paid to OnMarket by the Company. ONMARKET INTERESTS: OnMarket and its associates may be participating in this offer. ONMARKET INTERESTS AND AMOUNTS SUBJECT TO COOLING OFF: The funding bar displayed under each crowd funding offer may include applications where payments are yet to be made and amounts that are subject to the cooling off period. IP Holder - day to day involvement in company? My question to the team is is the IP Holder of Solar D a company or a person, and if a person, are they an employee or contractor involved in any day to day activities of the Nexdius Limited company? Hi Luke B. The IP owner is a company (Exposure Scientific) out of the US. The major share holder of Exposure Scientific is not involved in the day to day business of Nexdius Ltd. Please let me know if you have any other questions. What is the financial value of shareholding which the directors own in this company? What other company's are the directors on the board of or are involved in? The directors own approximately 40% pre this raise. One non exec director is the effector of another company called 6Degrees Management which is a tangent management business. Are you pre-revenue at this juncture? Hi Clifford. No we have generated roughly $500k in revenue this FY and another $500k in purchase orders due to be delivered in May. This is from major chains in Australia such as Woolies and Chemist warehouse plus revenue from Spain and US. Hello, some more information I would be interested to know? 1. Does the IP owner of Solar D technology has any investment in Nexdius? 2. How long will Nexdius have the license? How likely the agreement will be extended ? Continuous licensee extensions may be single biggest risk for this business. 3. What is the contingency plan if the license agreement doesnt continue? 4. Any intention to acquire the IP right for Solar D technology in near future? 5. How much UVB light penetration does Solar D increase that our bodies uses to produce vit D? I mean whats the difference in number (%) for vit D production between a sunscreen that has solar D and a others without it? important to convince customers/users to buy this product. 6. Any indication of breakeven revenue for Nexdius to have positive EBITDA? Just an indication only. 7. What would the potential market size in dollar for Solar D product if it can achieve 100% sunscreen market? Any conservative indication please. 8. Skin whitening product was mentioned as next product. What would be the market potential for this in dollar? Thank you A S Mohammad. please see answers below. 1. Does the IP owner of Solar D technology has any investment in Nexdius? Yes he currently owns roughly 5%. 2. How long will Nexdius have the license? The license is for as long as the patents which is roughly 20 yrs. depending on when the patents were issued we have roughly 18 to 19 years left. How likely the agreement will be extended ? Due to the length of time of the patents, this is not a concern. Continuous licensee extensions may be single biggest risk for this business. 3. What is the contingency plan if the license agreement doesnt continue? As above, this is not an issue. 4. Any intention to acquire the IP right for Solar D technology in near future? yes, this is outlined in the Offer Document (OD). We already have an option to purchase the IP which expires in July & August 19. If we don't acquire the various regions outlined in the OD, we will still licence the technology. 5. How much UVB light penetration does Solar D increase that our bodies uses to produce vit D? I mean whats the difference in number (%) for vit D production between a sunscreen that has solar D and a others without it? important to convince customers/users to buy this product. Depending on the product we are comparing it to and depending on the SPF we are comparing to, we are talking between 50% and 150% more UVB light for vitamin D production compared to our competitors. 6. Any indication of breakeven revenue for Nexdius to have positive EBITDA? Just an indication only. we will go very close thus FY. Our forecasts suggest we will be around $100k short of break even by end of FY. So we expect to be break even Q3 or Q4 this calendar year. 7. What would the potential market size in dollar for Solar D product if it can achieve 100% sunscreen market? Any conservative indication please. Not sure what you're asking but the global sunscreen market s $10billion dollars. So that would be 100%. 8. Skin whitening product was mentioned as next product. What would be the market potential for this in dollar? This is a huge potential for us in Asia. The market size is roughly $20billion. We expect to launch this late this year or early next year. what sis the $1.7m in liabilities ? Thank you for your question. The $1.7m in liabilities as of June 18 was predominantly creditors. this has bene significantly reduced and is now around $800k and is continuing to reduce.. Thank you. 2.8.4 in the offer doc refers to the legal proceedings against Titus Day, 6 degrees management and Solar D by Guy Sebastian. Will the funds raised from this campaign potentially be used to pay for damages if The company is unsuccessful in defending these legal proceedings? Thank you Samual for your question. The proceedings between Mr Day & Mr Sebastian will be funded entirely by Mr Day if the case is ruled in favour of Mr Sebastian. As advised by our solicitors and Mr Day's solicitors, they believe there is no case against Nexdius Limited or Solar D Skincare Pty Ltd as the matter is only between Mr Day & Mr Sebastian. Thank you for yuor question Chris. Thank there are no restrictions. We are in Woolworths, Chemist Warehouse and most of the Chemist Chains. Coles didn't take us in the first 2 year but have recently told us they will take us in 2020. The company has accumulated losses at 30/6/18 of $7,762,152 of which the majority were incurred in the last two FY. No member of the current board appears to have experience relating to the market niche that is proposed to be the main revenue earner in the future. In view of the recent trading history of the company, is there an intention to add the missing expertise to the BOD? I note that there is outstanding legal action between a director and one of his clients - was the company involved in any way with this client - consultancy/marketing/investor/lender/guarantor? I have viewed the website of the owner of Solar D in the USA. It appears that Solar D was actively marketed in Australia as long ago as 2014. when it won an award by Popstar as 'best new product'. Is this actually a relaunch five years later? Thank you for responding to my previous questions. I note you have not commented on the previous history of this product. 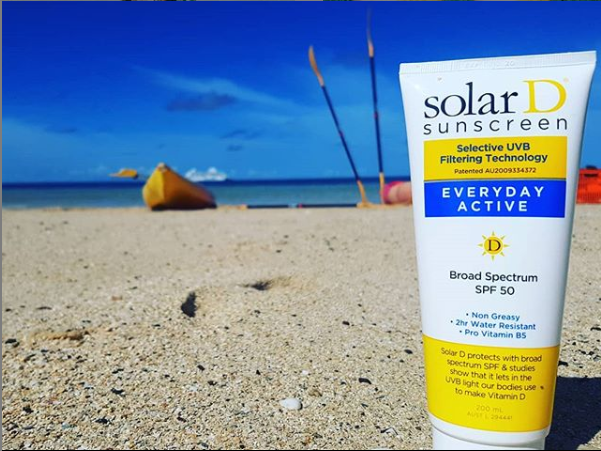 The Exposure Scientific website states clearly that the Solar D product won a 2015 PopSugar Award in Australia for best new sunscreen introduced. Are you relaunching the same product? As it is clear that your company proposes merely being the licensee of the product I am unable to understand the nexus between your expenditure on protecting patents and R&D and the Solar D product. No way .....Miller?? ....yes/no.....?? Cash. Thank you for providing the opportunity to invest in your business. Is the product easy to manufacture and we will rely on the IP to protect from copy cats? Are there alternative technologies to allowing the Vitamin D rays in and blocking the baddies? Thank you for your message Jack. 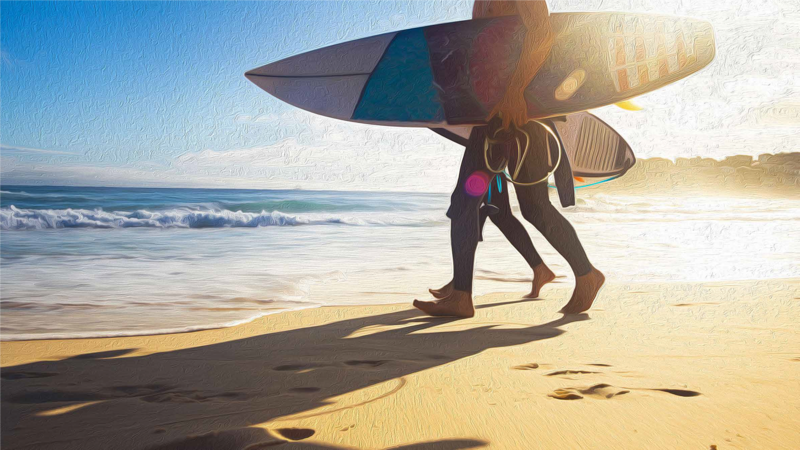 We have manufacturing in the US and Australia and no issues with manufacturing as we use normal approved sunscreen ingredients. We rely on the IP to protect our technology from copy cats but as you would be aware, you cannot protect places like China replicating anything, however they would make a cheaper and far less quality version. There are no current alternative technologies in the market or in patent application. Our competitors are normal sunscreens such as Banana Boat, Nivea, Coppertone etc however they all do the same thing. As our intention is to license our technology to all players in the skincare space, we really don't see anyone as a competitor but as a potential partner. How...when?? And what expectations do you plan to return us?? (Hypothetical example) be appreciated. I do believe in these products and success of your company...but what for us early investors?? Discover Equity Crowdfunding investment opportunities here. Tap 'More Info' to get access to free research, all company releases, and bid instantly for shares. Before investing please consider the offer document and the general risk warning.